Money in your account within minutes. * Use any payment method in 130+ countries. A trading interface built for all audiences. No KYC required—begin trading in 30 seconds! The only marketplace that’s self-custodial and end-to-end encrypted. Choose from more than 30 payment methods. * Most trades complete in a few minutes, however this largely depends on the chosen payment method. 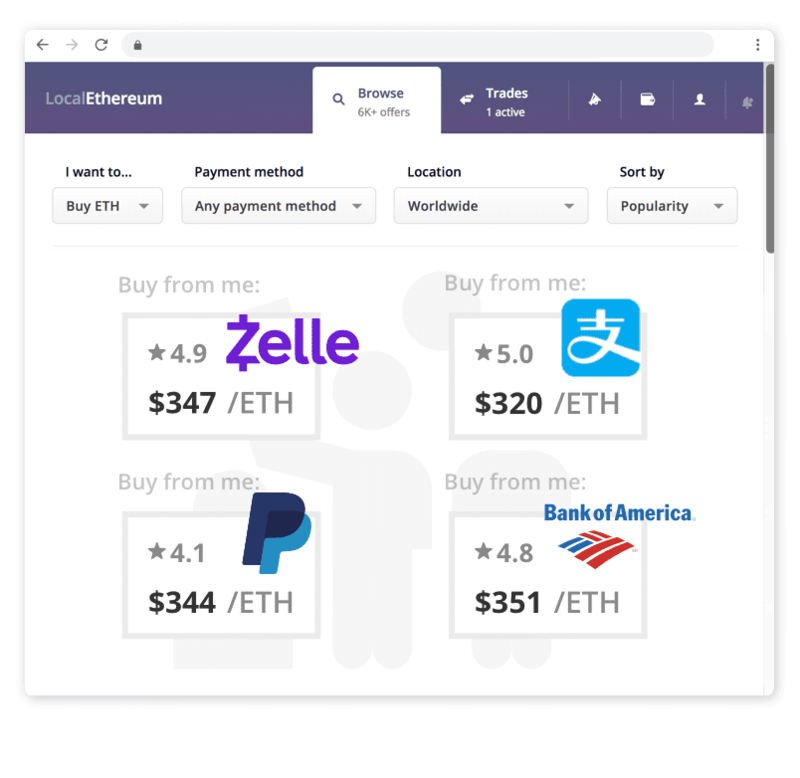 LocalEthereum is the fast and secure way to make Ethereum trades. Thanks to LE, I can earn money securely and save myself from hyperinflation. 1. See who’s buying & selling. Consider the “offers”. Anyone in the world can post a bid to buy or sell ETH. Offers can be filtered by payment method, currency, location and popularity. From bank transfers to gift cards—every payment method is allowed. 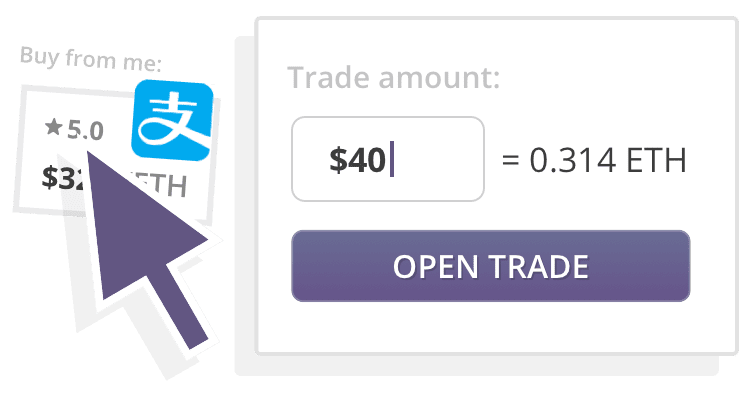 Find an offer you’re happy with and open a trade with the user. Choose the amount you want to buy or sell, and lock the rate in. After the seller puts the ETH in an escrow account, the buyer pays the seller outside the platform. Payment details are discussed using encrypted messages. 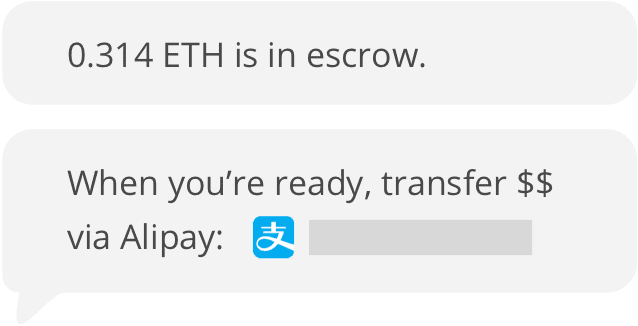 Once the seller confirms payment, the ETH is released from escrow to the buyer. The escrow account is a decentralized Ethereum smart contract. Rather than trusting a centralized authority to hold your ETH, LocalEthereum's escrow system is trust-free. Every conversation is protected by a unique secret key which self-destructs after completion. We can only decrypt your messages if the key is volunteered; e.g. during a payment dispute. Log in with your wallet. Optionally, you can log in without a password by using a compatible Ethereum wallet. Most popular wallets including imToken, MetaMask and Ledger are compatible. Tested with these Ethereum wallets. Stay up to date with the latest crypto-news and connect with other traders and staff in our official Telegram groups.